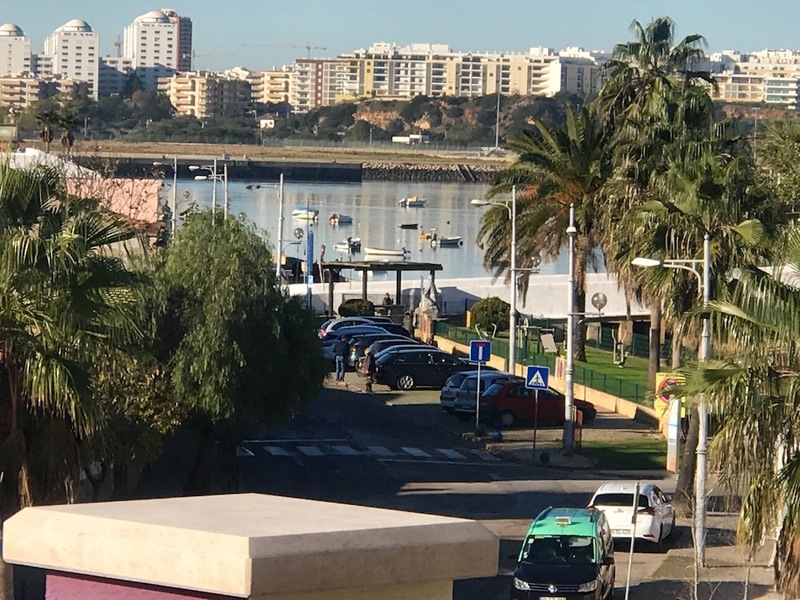 This New Sea View 2 Bedroom Duplex Penthouse Ferragudo is 160,10 m2 with a terrace of 50,60m2 and 2 parking places in the garage. 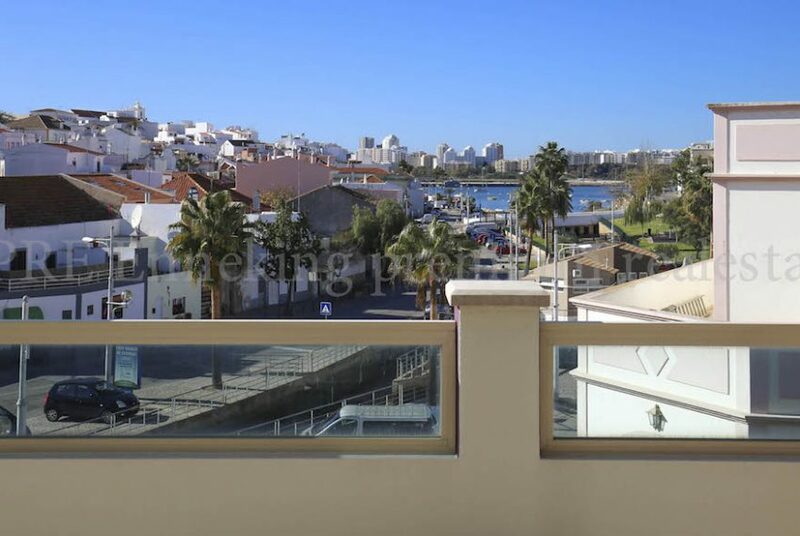 It is located in the lovely fishermen village of Ferragudo Portugal. 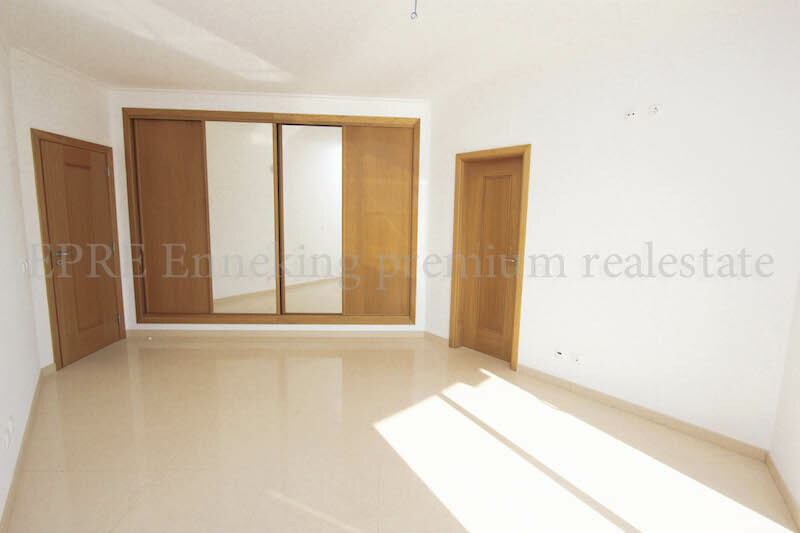 When you enter the apartment through the large bright hallway on your right you will find the living room with sliding doors to the terrace. 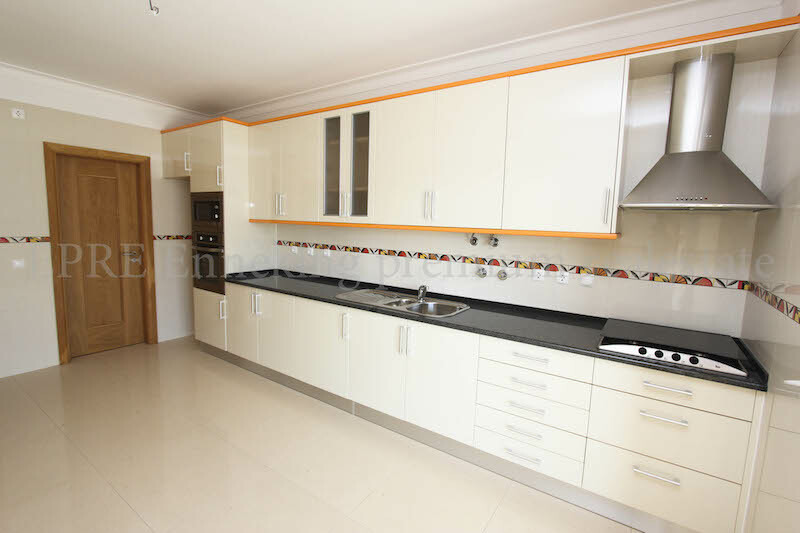 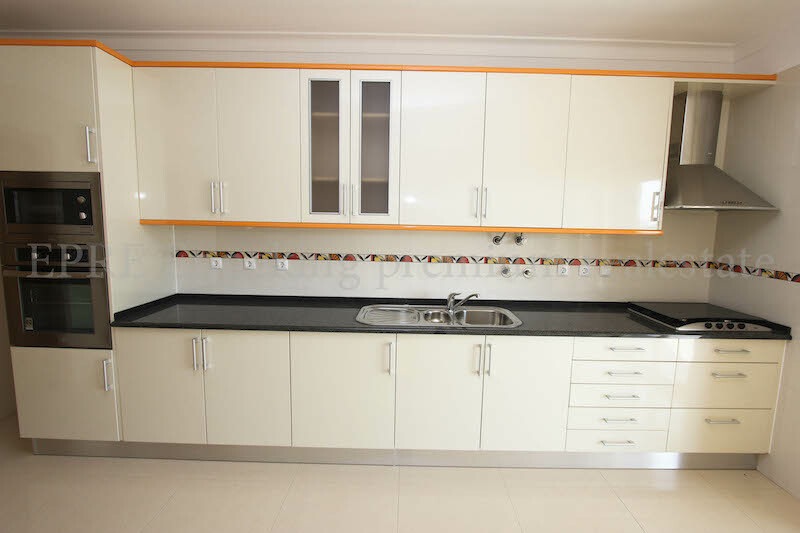 The kitchen is fitted with modern kitchen furniture in cream/black colours. 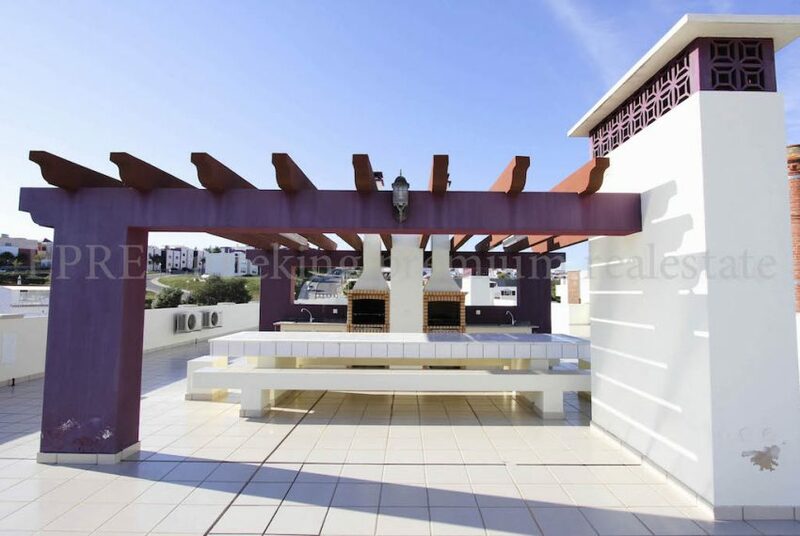 From the kitchen you have access to the terrace with the barbecue area with a kitchen sink and small storage. 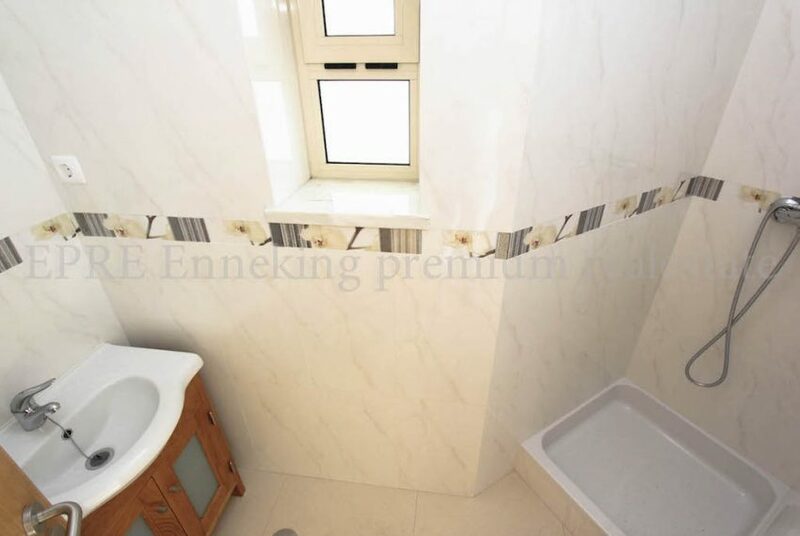 There is a guest toilet in the hall. 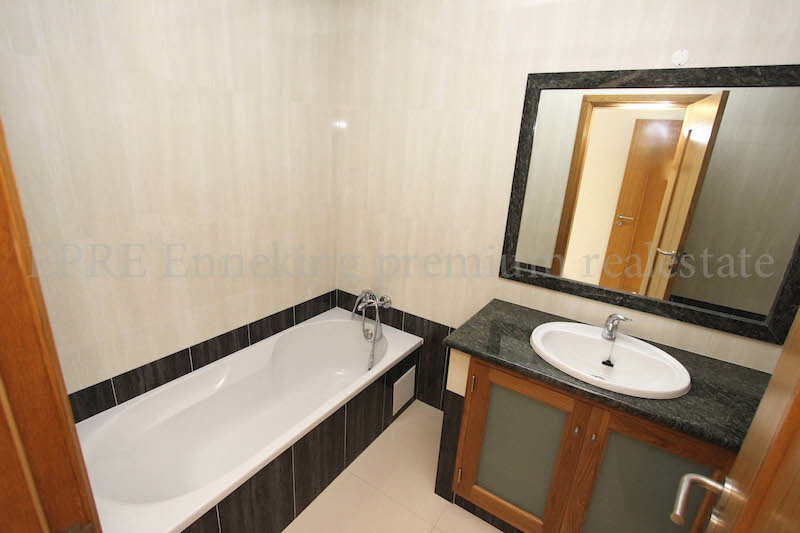 There is one ensuite bedroom and one bedroom with a separate bathroom. Both bedrooms have built-in wardrobes with mirrors and pre-installation for air conditioning .The apartment comes with 2 parking spaces in the garage of 13,30 m2 each and a storage of 3,30 m2. 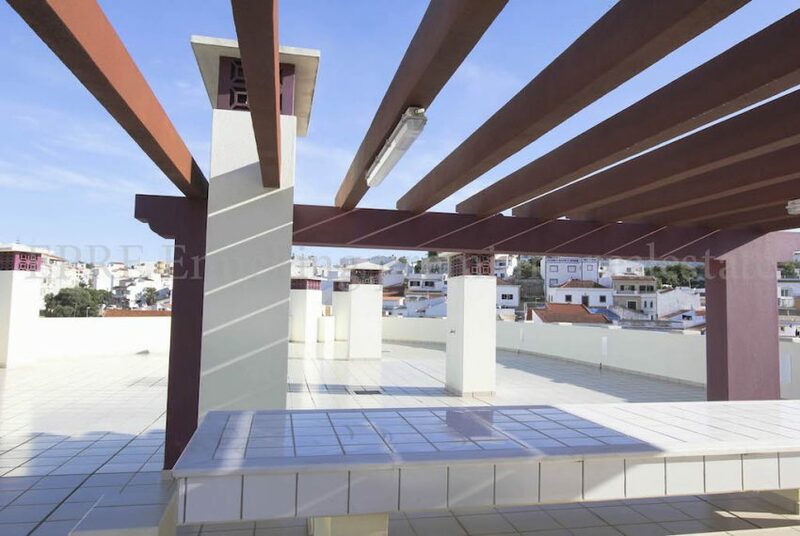 There is also a communal roof terrace with 2 stone barbecues and tables with a beautiful river view. Excellent for parties. 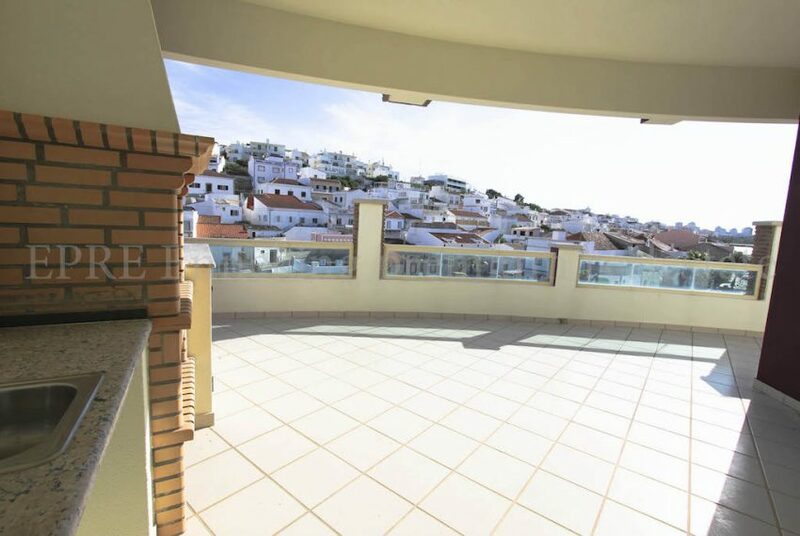 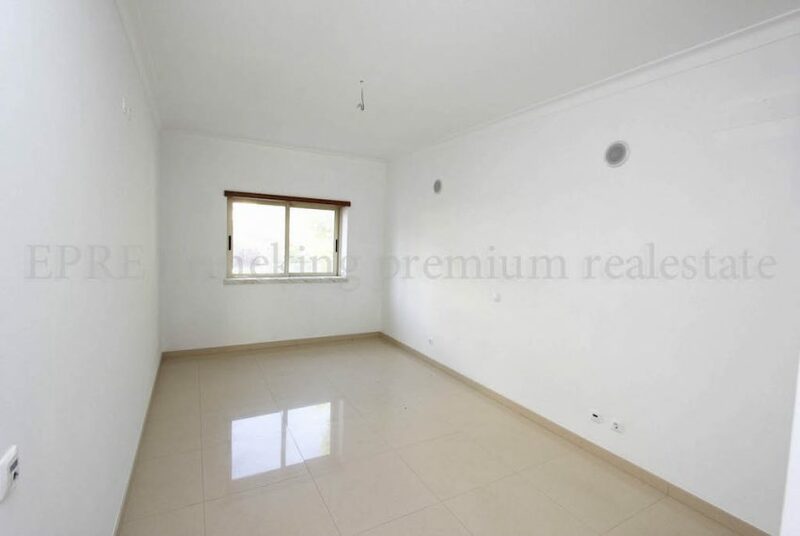 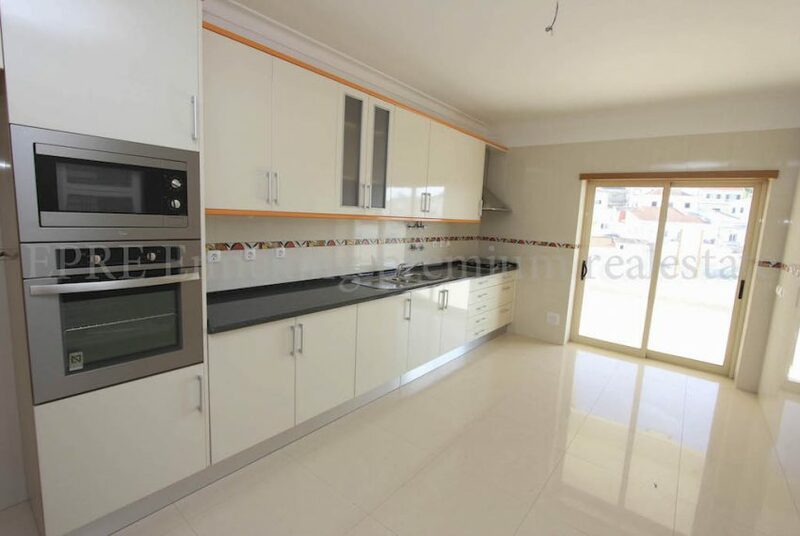 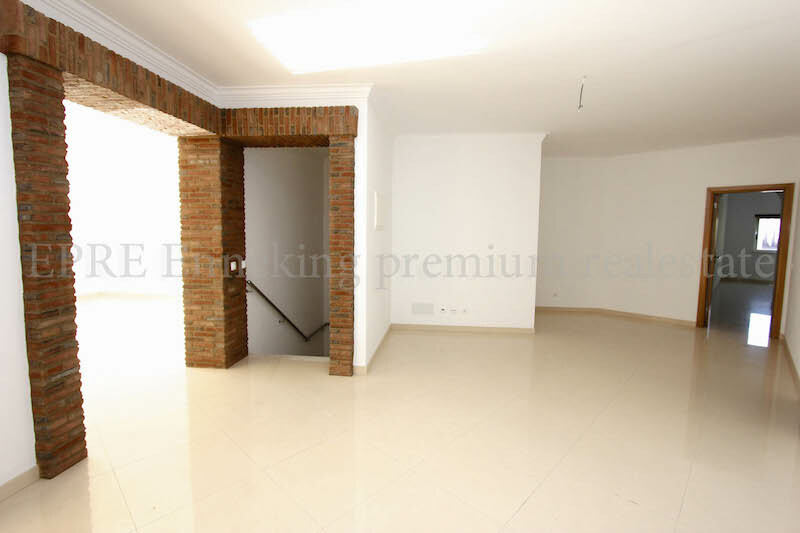 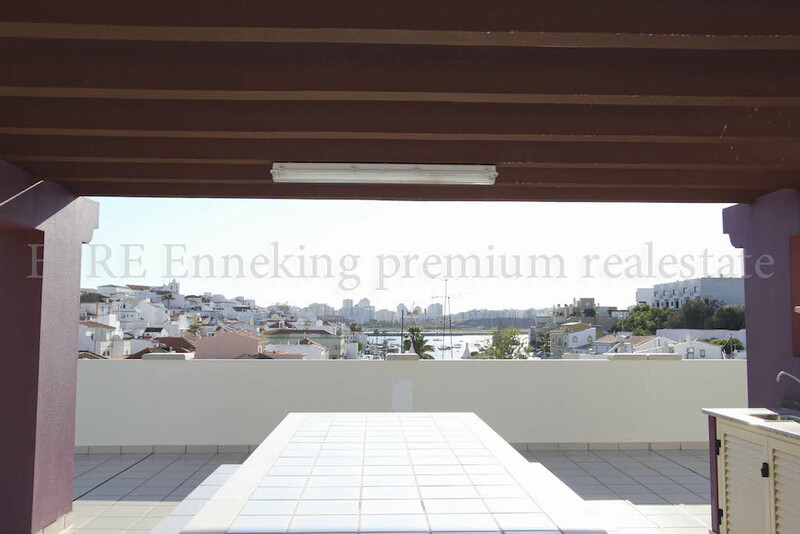 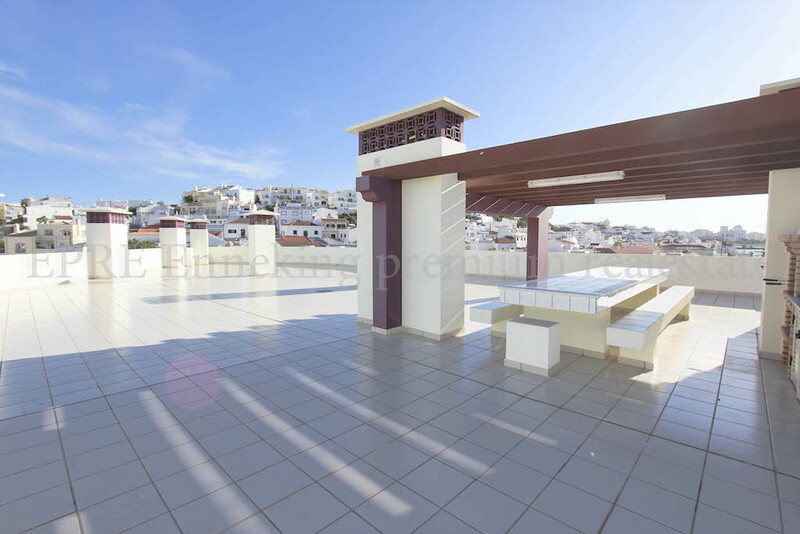 This 2 bedroom duplex apartment in Ferragudo Algarve has never been used. In the centre of Ferragudo just a few footsteps away to the beaches, supermarkets, shops, restaurants and bars. 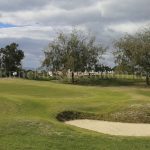 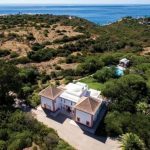 Ferragudo is still one of the last beautiful villages in the algarve with all the amenities within walking distance and very good Portuguese, Indian, Vietnamese, Thai and Italian restaurants. 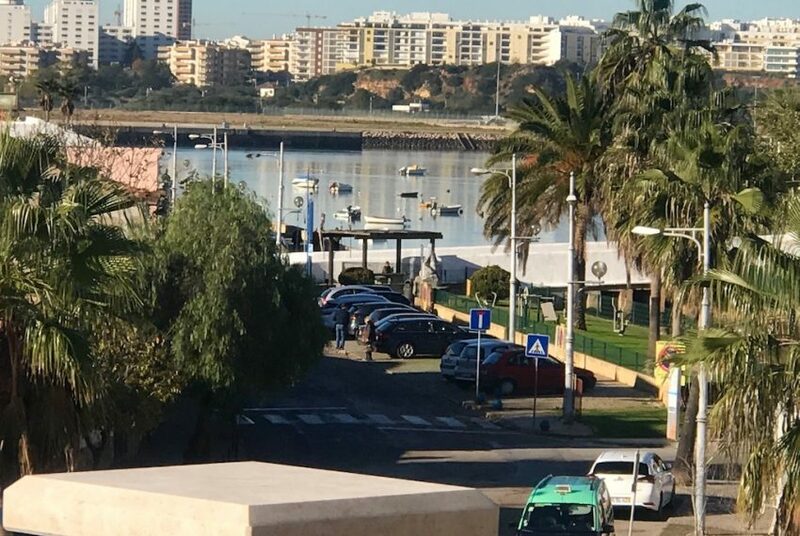 There are 2 water taxis which can take you to the other side of the river to the lovely large beaches of Praia da Rocha with its beach clubs – Nosolo Aqua and Blanco or to the city of Portimão with its 2 shopping malls where you will find a diversity of shops. 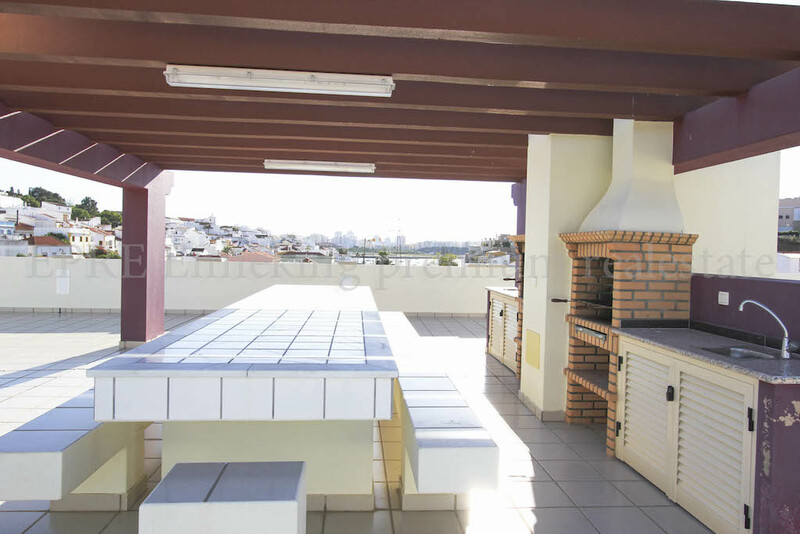 The Praia de Angrinha and Praia Grande beaches are both a few minutes walk, which makes this apartment very suitable as a rental property or for use as a summer residence. 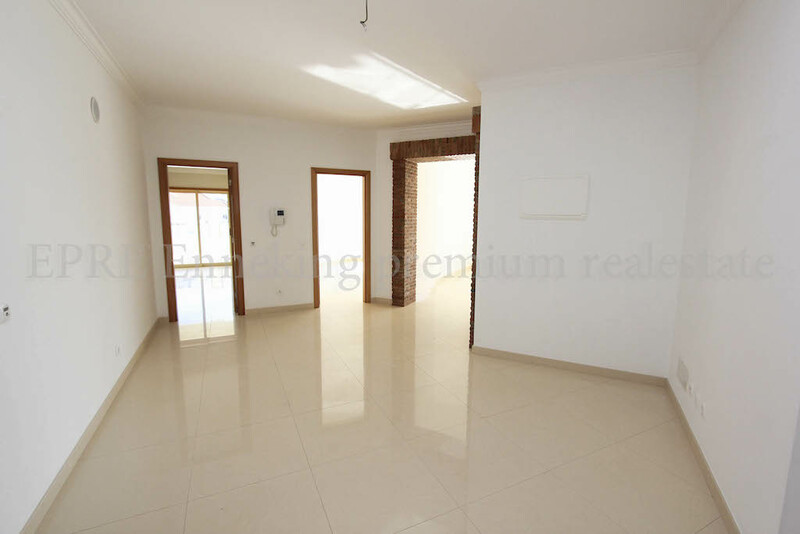 The apartment also has underfloor heating ideal for those who would like to become a resident in Ferragudo.